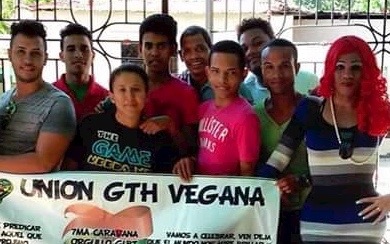 Unión GTH Vegana operates in the countryside of the Dominican Republic, where LGBT individuals face more discrimination and exclusion than in the country’s more touristic parts. The organization aimed to set up four safe spaces where LGBTs and straight people could meet and interact in sports, theatre and other activities. Together, they were to be educated on LGBT rights. Unión GTH Vegana hoped that these safe spaces would not only strengthen the support network for LGBTs and make the community more visible, but also encourage LGBT-straight alliances. They also hoped this would result in better LGBT integration in the province of La Vega. However, Unión encountered problems conducting their original plans with sport clubs, some of which reacted negatively to LGBT in sports. This is why they had to change their initial plans. Yet, they did succeed in gaining straight allies during the course of their project activities. Unión established several movie and discussion nights, bringing LGBT movies to places where queer cinema was not known.